We are now in a new phase of campaigning, following David Cameron’s agreement at the European Council at the end of last week. This means that he and the rest of the Conservative party are no freed to campaign and the final pieces of the formal campaign can start to fall into place. The next six weeks, until the official campaign period begins, will be critical in setting agendas and pushing messages to voters. The work of the various groups has reflected this very clearly during the past week. All groups have seen a substantial growth (17%) in their number of followers on Twitter, over the last seven days some 30,000 new followers in total. 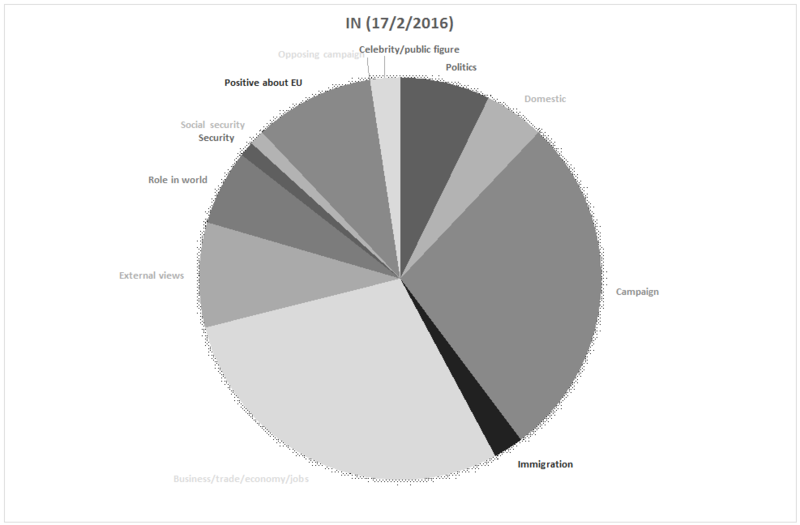 Likewise, there has been almost a quadrupling of the number of tweets on last week, as groups have sought to capitalise on the European Council deal and the subsequent declarations of alignment from various people, most notably Boris Johnson. 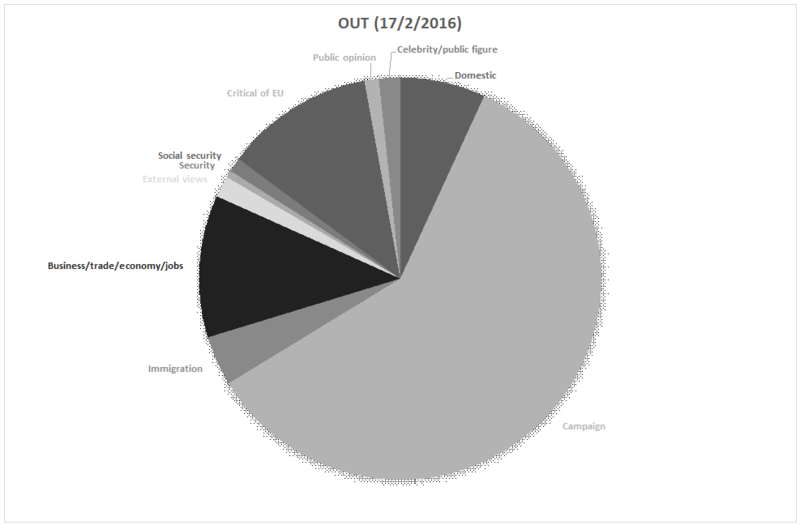 The leave campaigns – and in particular @LeaveEUOfficial – continue to dominate the conversation on Twitter. @LeaveEUOfficial has close to 40,000 more followers than the next most popular campaign. 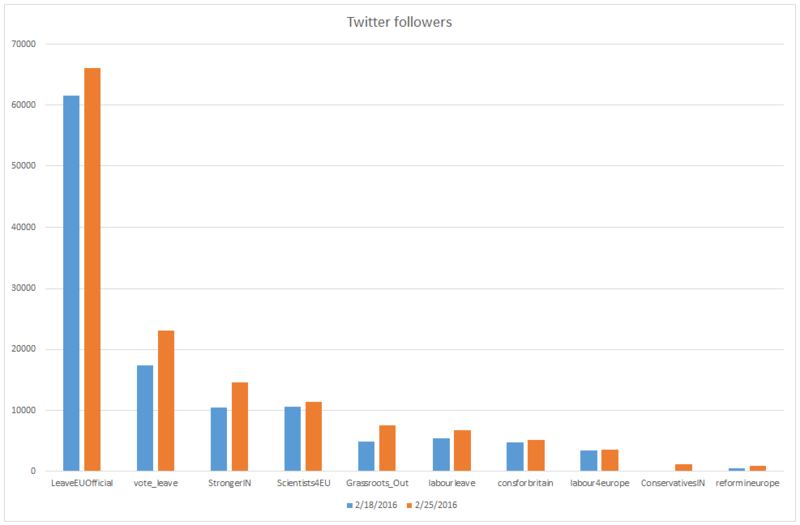 Growth in twitter followers from last week to this week has been fairly consistent across the three most prominent campaigns (LeaveEUOfficial, vote_leave and StrongerIN), suggesting no group has outperformed the others in the short term in this respect. However, where the leave camp has been much stronger has been in its extended reach. 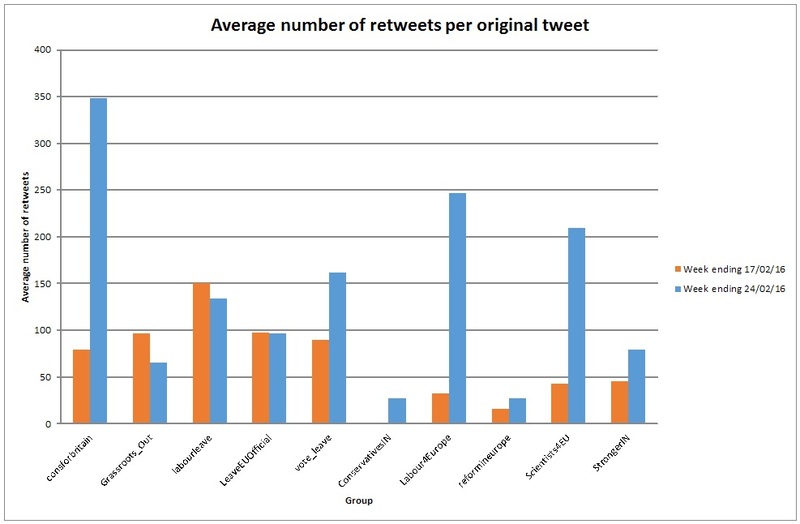 If we consider only those tweets created by the groups themselves – rather than just their retweeting of other people’s content – then we can see that a typical leave tweet will be retweeted itself twice as much as a remain tweet. This has been true over the past two weeks, despite the overall increases all around in the volume of retweeting. The consistent strength of the leave groups on this front is likely to mean many more Twitter users being exposed to leave messages, even before any targeted advertising is taken into account. At the same time, despite the growth in volume, we have seen remarkable stability in the overall pattern of tweets, when considered in terms of positive and negative messaging. As we discussed in last week’s post, we code tweets on whether they contain positive messages about the group’s preferred option, negative messages about the alternative, positive messages about the group itself, or negative comments about other groups. 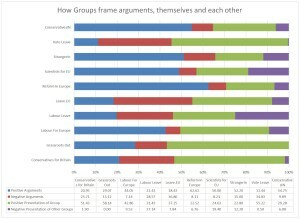 Broadly speaking, this four-way division has not shifted from last week, either for individual groups or for each side: Leave groups tend to criticise membership more than Remainers question post-membership, but Leavers are much more positive about their groups and engage in fewer jibes at their opponents than do the Remain camp. This can be understood as reflecting the relative positions of the two camps. Leavers need to move voters away from the status quo that Remainers devote so much effort to praising, just as they want to stress the breadth of support they enjoy. Many of the positive group references this week have been about the individuals coming to support Brexit. While there has been more tweeting about the failings of the other (#WrongThenWrongNow versus Leave’s indecision about what comes next), this has only been in proportion with the growth of overall traffic. For now, at least, the gloves have not come off too much. 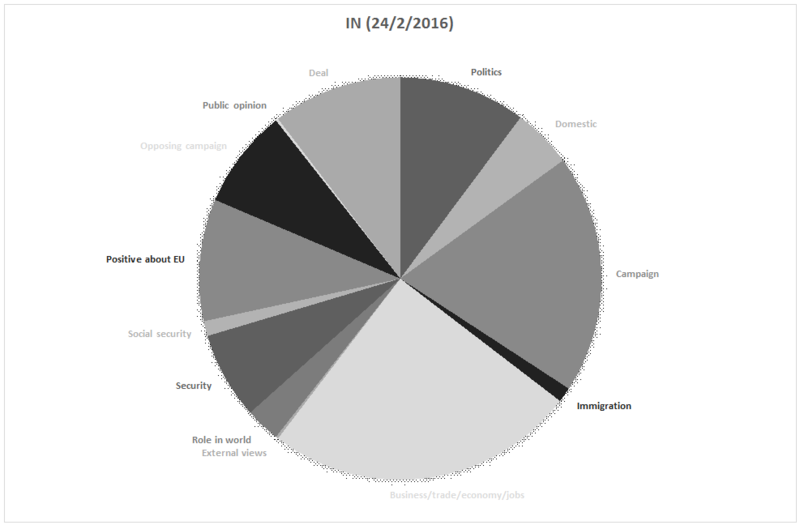 Discussion of ‘Cameron’s deal’ was comparable among both the leave and remain campaigns, making up between 11% and 14% of tweets. 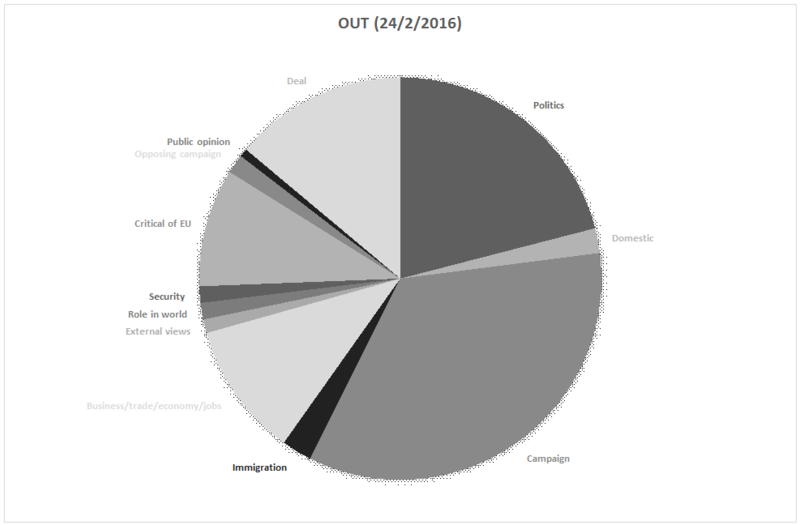 The leave groups tweeted a lot more campaign related tweets, 34%, compared to just 19% for the remain campaign, partly reflecting their desire to show support from both high-profile individuals and events with the public. 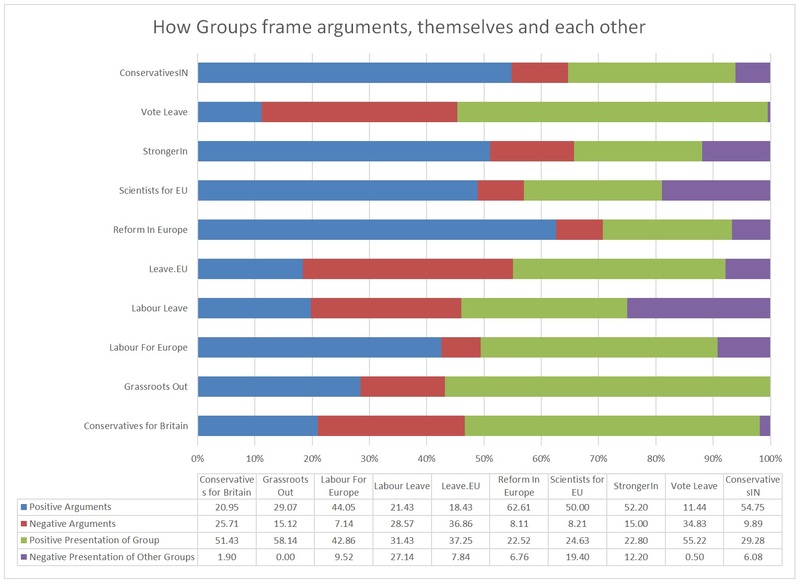 Interesting, neither side has made much of immigration as an issue, with Remain groups talking much more about business and jobs, while Leavers have talked about the politics of membership, particularly the ability for the UK to make issues without constraint by the EU. 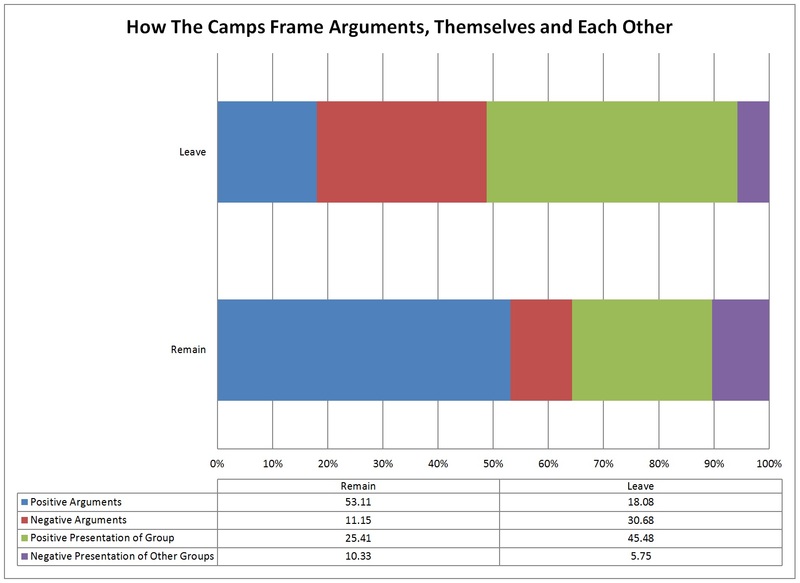 Finally, it is also useful to consider the language that the different groups use. 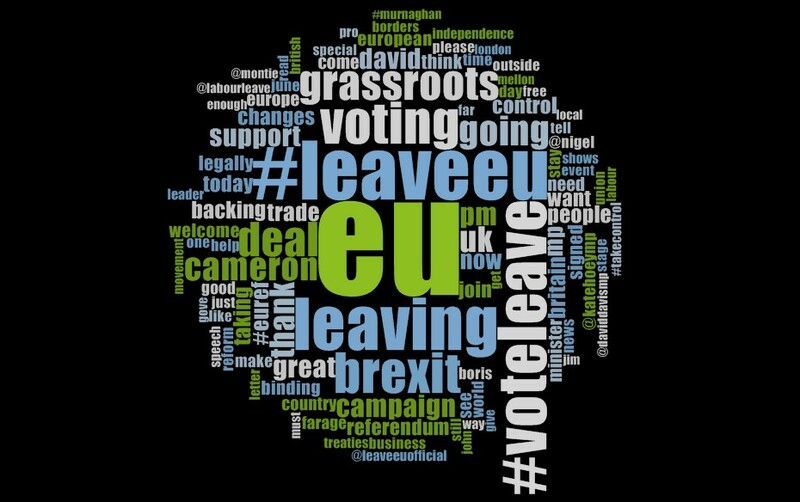 As these word clouds highlight, the Leave campaigns make much more mention of the ‘EU’ than does StrongerIn, playing on the negative associations that many followers will have and that the leave camp has sought to reinforce. In effective recognition of that, StrongerIn makes far fewer such references and talks instead much more about ‘Britain’ and ‘Europe’, to provide a more positive set of frames for their messages. As the campaign moves on towards its conclusion in June, the battle for the social media space will continue. At the moment, it seems that Leave have the upper hand; whether the Remain camp can build some momentum now that David Cameron is out promoting his deal remains to be seen.